Have you been collecting beautiful pictures from your summer adventures? 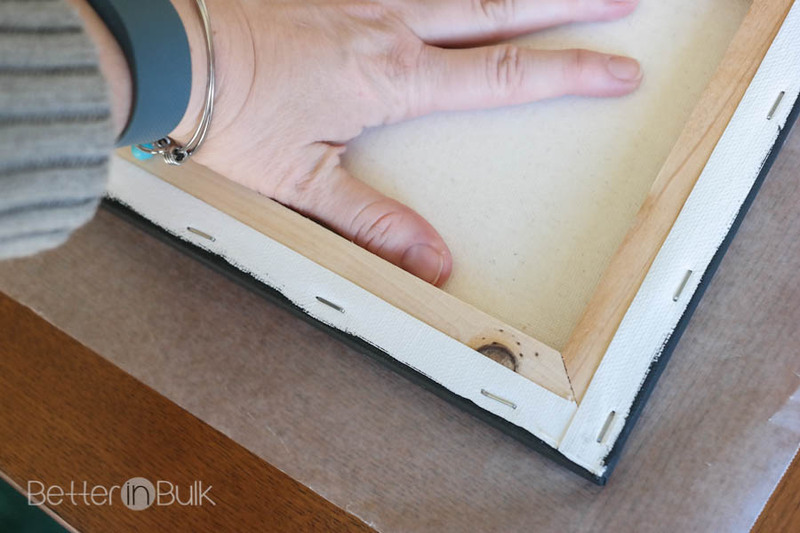 My friend, Lisa, showed me an easy way to make your own canvas prints, for just a few dollars. 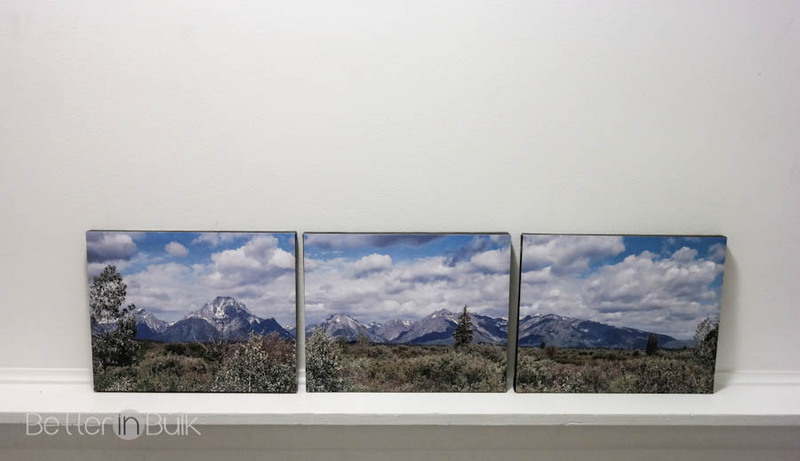 Because I had several panoramic photos, I decided to make a set of 3 panoramic canvas prints to hang on my walls. 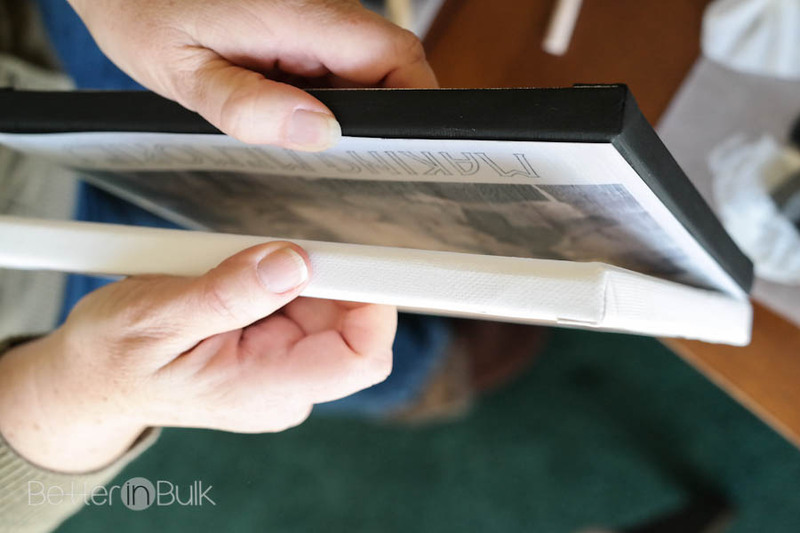 Print photos that you want to mount on canvas. You can print any size to match the canvases that you have - I used 8x10. 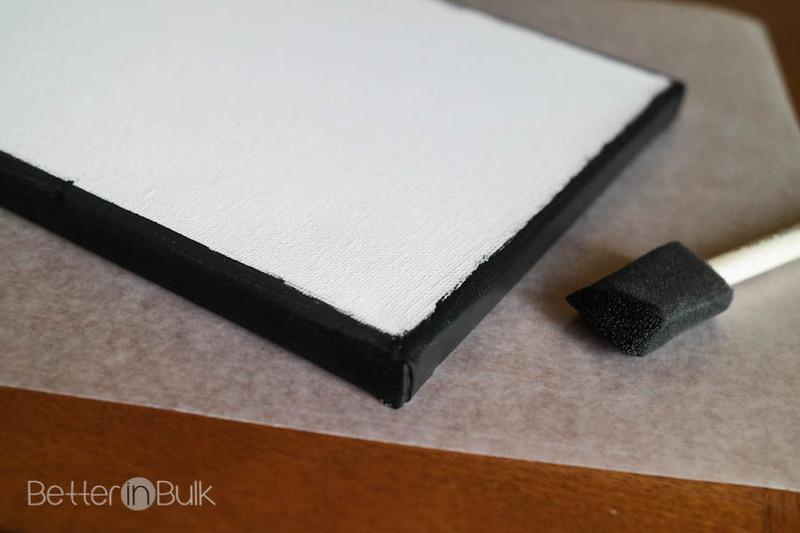 Paint the edges of 3 canvases black. Let dry for a few minutes. 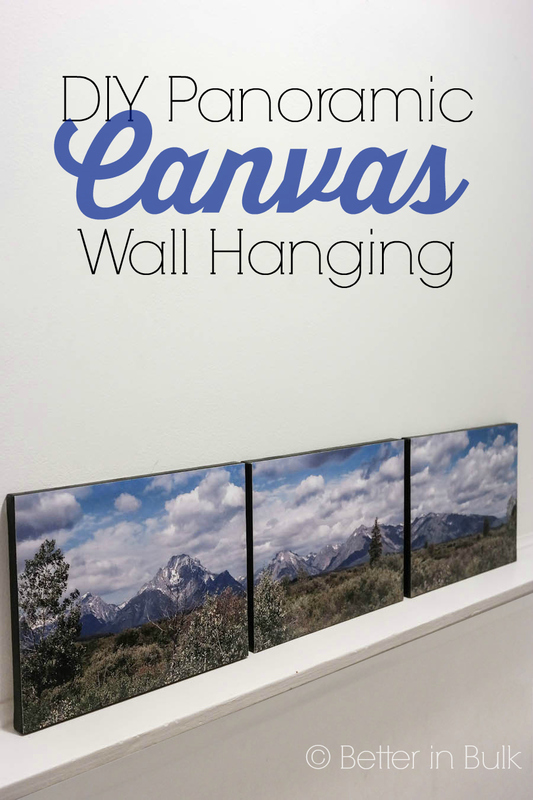 Using a paper trimmer, carefully trim photos to match the canvas (I found that the canvases were a tiny bit smaller than the prints, and you don't want to have any of the photo hanging off the edge of the canvas). Generously but evenly spread Mod podge over the surface of the canvases, one at a time. Place a photo, picture side up, on a wet canvas. 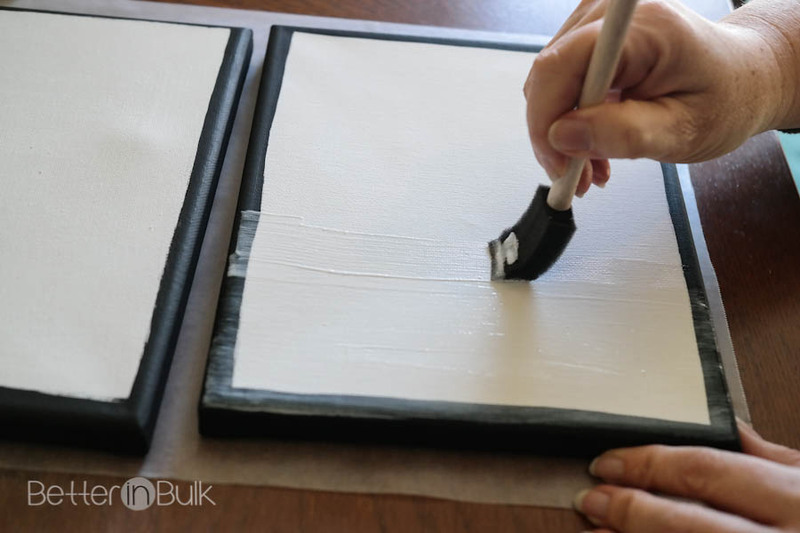 Turn canvas over on a piece of clean wax paper and press the back side of the canvas to secure the print in all spots. Let dry. 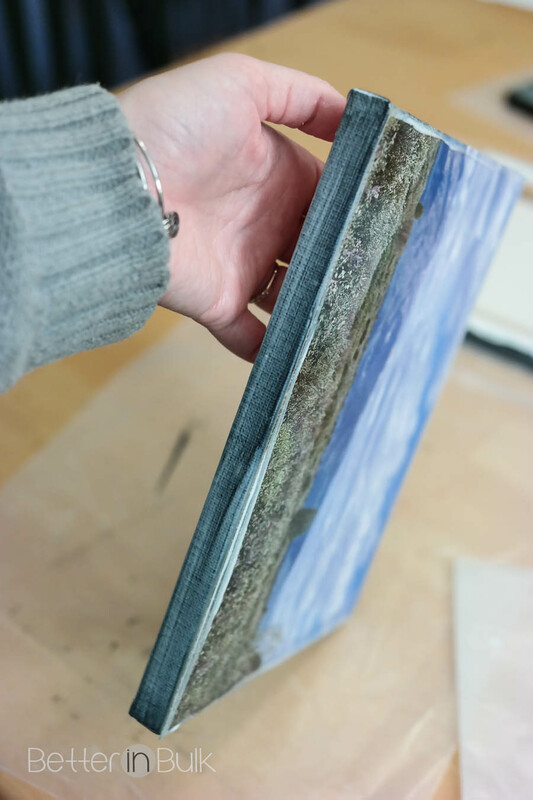 If the edges of the prints aren't completely sealed, paint more Mod podge on the edge. 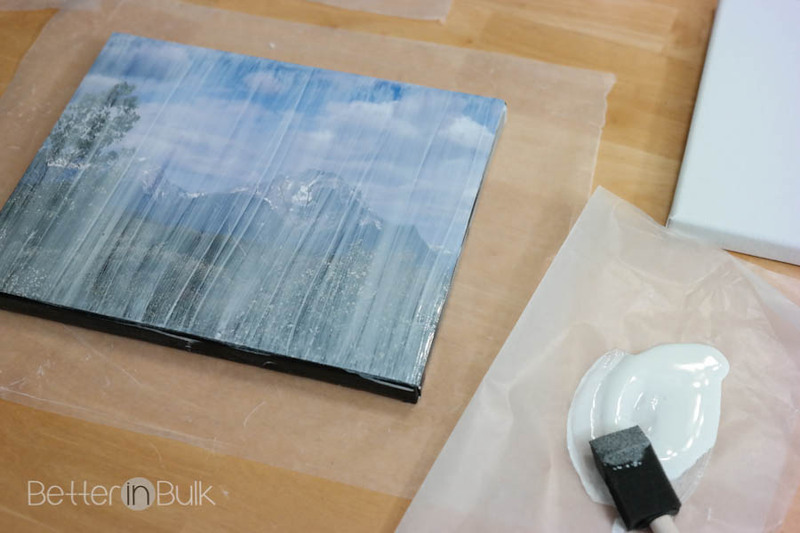 When the canvases are dry and edges are sealed, paint more Mod podge directly over the photos. A thin layer of Mod podge will suffice. 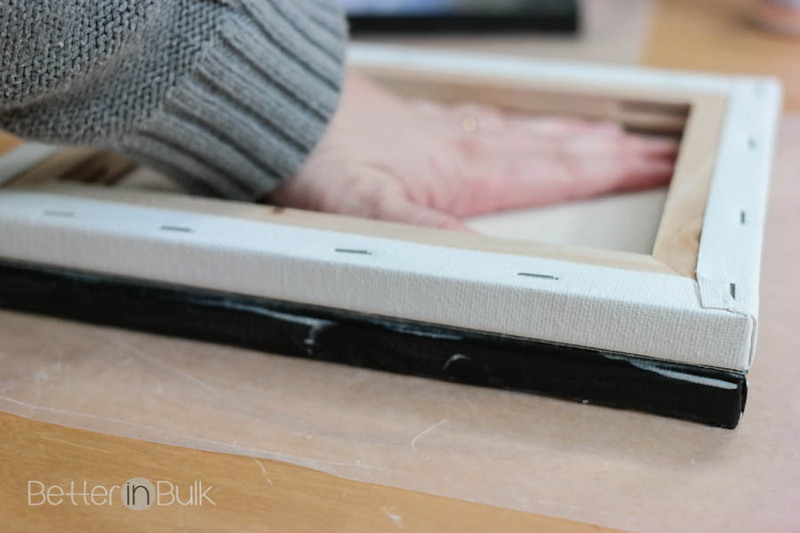 Press the extra blank canvas on top of the painted canvases (one at a time). 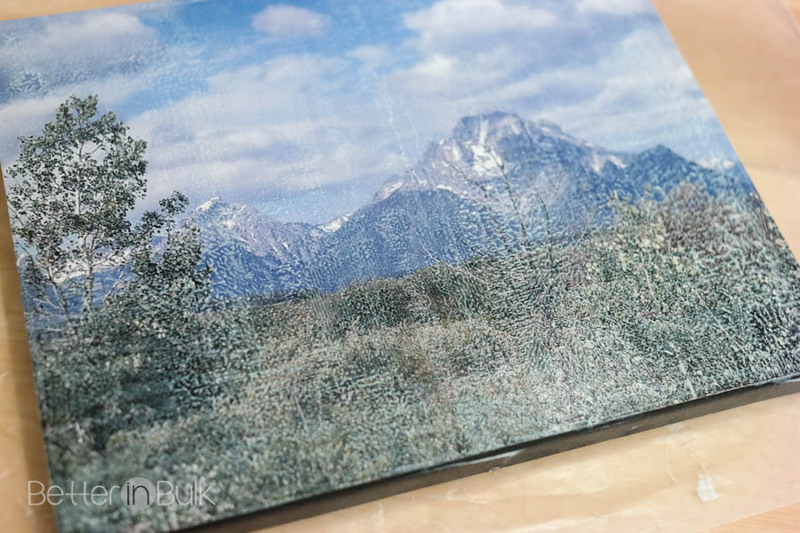 Press with your hands to make sure that all of the edges and surfaces get "printed" with the canvas design. Carefully peel the canvases away. Let the photo dry and repeat with the remaining canvases. 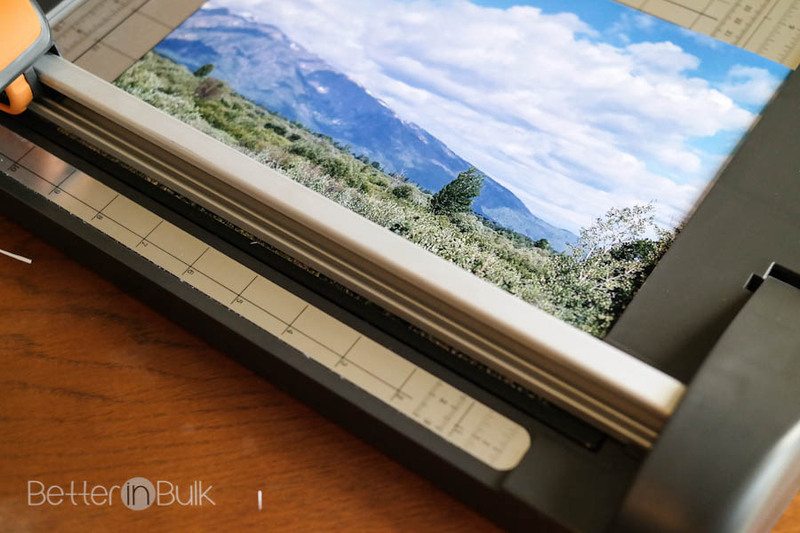 Trim photo to the size of your canvas. Paint edges with black acrylic paint. Generously but evenly spread canvases with Mod podge. 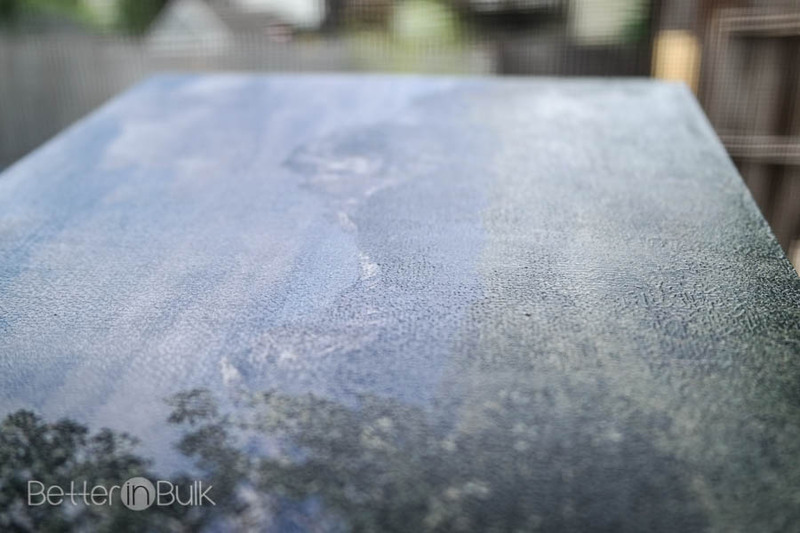 Place photo on top of Mod podge, turn over, and press to seal the photo to the canvas. Let dry. When the photo is sealed to the canvas and dry, paint a layer of Mod podge directly over the photo. 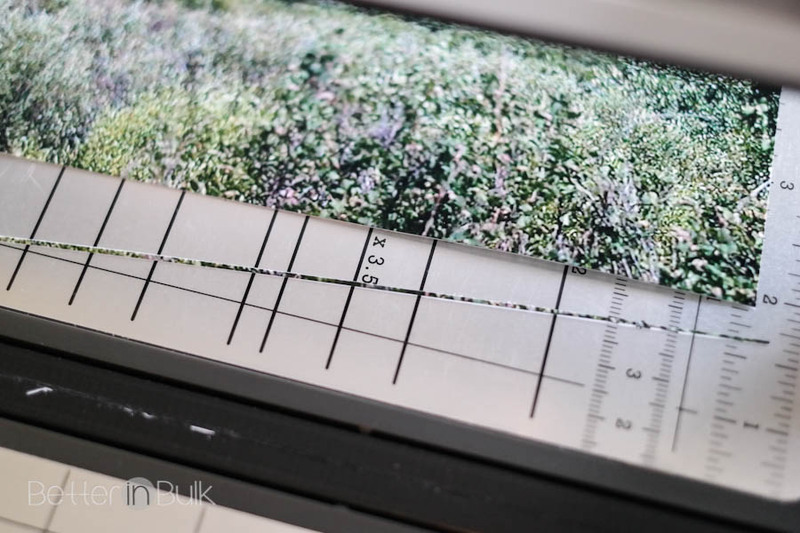 Press the extra, blank canvas on top of the wet print and press to get all edges. 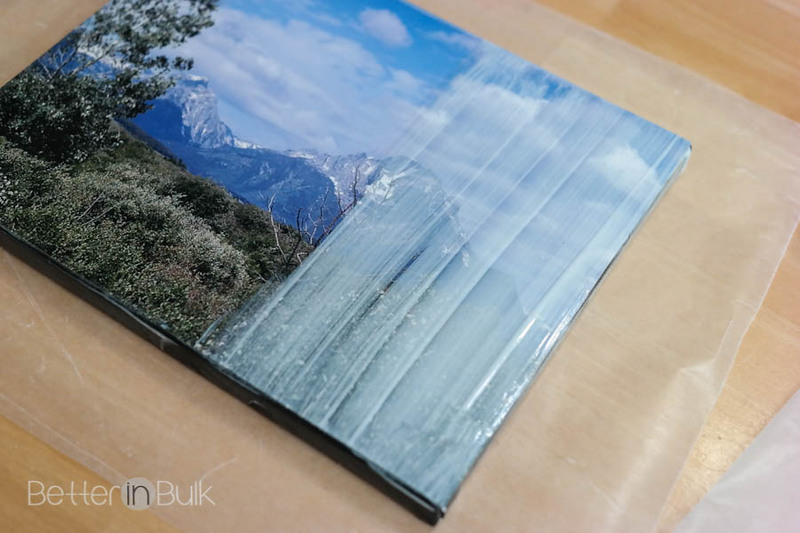 It’s ok to repeat this process if the canvas doesn’t imprint on the photo well enough. Carefully pull the canvases apart. Seal edges with Mod podge, if desired. I love the detail on my canvases! They look like expensive canvas prints, but they only cost a few dollars a piece….and they were fun to make, too! Of course, this craft project can be done with any number or style of prints – I just happened to use a panoramic photo, split into 3 sections. This would be fun to do with snapsots of the kids or vacation memories. What would you mount? I might try doing this in our spare bedroom. Thanks for the tips – they look great! I’ve been meaning to make some photo canvases, but just haven’t got around to it yet, so your tips will come in handy for me. Thanks for sharing with us at Dream. Create. Inspire. Link. I hope you get around to making some! I’ve got a new batch of pictures I need to make into canvases!